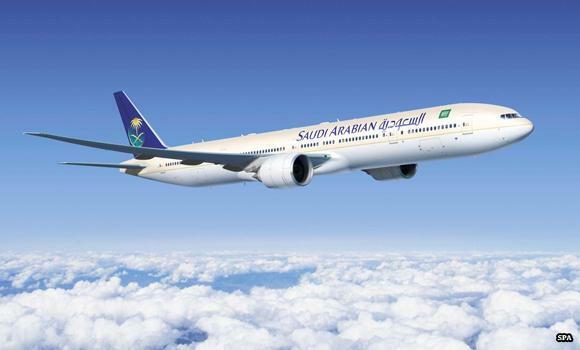 Aviation Updates Philippines - RIYADH: Philippine authorities have foiled a bid to hijack a Saudi Arabian Airlines plane at Manila's Ninoy Aquino International Airport. File photo of Saudi Arabian Airlines Boeing 777. According to a Manila-based newspaper, the authorities thwarted the plan and seized secret documents that confirm the plot. The paper said a team that included 10 conspirators left Iran recently on separate flights and arrived in several countries in South-East Asia through Turkey. They were plotting to to execute their plan in Malaysia, Indonesia, or the Philippines. According to the Manila Bulletin, the Saudi Embassy in Manila had asked the airport authorities in Manila to install screening devices to tighten security procedures for passengers traveling on the Saudi aircraft. Accordingly, the request was submitted to the competent authorities in the Philippines. Abdulrahman Al-Fahad, a spokesman for Saudi Arabian Airlines, said that the company gives top priority for aircraft security. Aircraft security is an international responsibility, he said. Aviation security departments at Saudia are working with other agencies to boost security, said the spokesman. “We are in constant contact with all stakeholders to ensure the safety of aircraft and its passengers,” he added.